The foreign fighter phenomenon is neither new nor unique to Syria and Iraq. However, due to contextual changes, this conflict is seeing a far greater number of foreign fighters from a more diverse background than previously seen. The threat of the foreign fighter does not solely reside in their ability to bolster troop numbers, but in their actions beyond the conflict. To understand the particular foreign fighter phenomenon of Syria and Iraq, this paper will focus on two questions: (1) what is the historical context of Islamist foreign fighters and their post-conflict roles and (2) what contextual and environmental changes have occurred that might affect the impact of foreign fighters during and after the Syria-Iraq conflict. The historical perspective allows for understanding the threat of the foreign fighter through previous experience while contextualizing the current phenomenon will improve the accuracy of the assessment of the potential foreign fighter threat. This combination of historical and environmental context will create a broad understanding of the contemporary movement and the way it may develop further. This paper will first explore the advent of Islamist foreign fighter phenomenon through the Soviet-Afghan war. The Soviet-Afghan war connected radical Islamists and created a network of actors that would severely impact global security in the late-1990s and 2000s. Analyzing the activities of foreign fighters from the Soviet-Afghan war creates an understanding of the potential paths foreign fighters leaving Syria may take today. In examining the roles of foreign fighters after Afghanistan and taking into account environmental changes, the potential threat of foreign fighters in Syria is clearer thus giving the West an accurate threat assessment of the role current foreign fighters might play post-conflict. This paper will then focus on the contextual changes that have allowed the use of foreign fighters in Syria-Iraq to be ubiquitous and more dangerous than the previous threat of foreign fighters. Foreign fighters will leave Syria and Iraq with a network of other extremists as well as with skills, knowledge, and credibility. 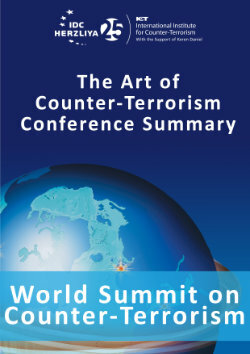 Due to the overwhelming number of foreign fighters, an array of ungoverned and under-governed regions, and the inability for governmental capacity to monitor all foreign fighters that return home, those foreign fighters that wish to continue their violent extremist activities beyond Syria and Iraq will have both the capabilities and space necessary to do so.